Do you wonder why you have been feeling tired, moody, disoriented, and confused a lot? Have you thought about how much water do you drink on a daily level? Have you perhaps discovered that the answer is anything but satisfactory? Yes, we know the feeling. A lot of us forget to drink their eight glasses of water each day. Unfortunately, that causes way too many negative effects on our health. Let’s see what we are talking about. Water makes sure that your skin is hydrated, healthy, and smooth. If your skin loses more water, by sweating, than you drink on a daily level, you risk your skin’s quality to decline. Symptoms such as cold and cracked skin and lips, shrinking, roughness, and redness of the skin are expected to occur. In order for saliva to be produced, your body requires water. Once you stop drinking enough water, less saliva is being produced. This will result in a dry, sticky mouth and tongue, but also, bad breath. Since there is not enough saliva being produced, it is easier for the bacteria in your mouth to grow faster. This causes the previously mentioned symptoms to develop. Do you notice how your urine is dark colored in the morning and after a few glasses of water throughout the day, it changes its color to a lighter version? Knowing this, if you notice your urine preserving its dark color throughout the day, you are most probably struggling with possible dehydration as you have not drunk enough liquids. If you are not drinking enough water, you can struggle with fewer bowel movements. Also, when it finally happens to release stool, it will most probably look dry or even lumpy. Constipation often happens because we forget to drink the recommended amount of water on a daily level. According to the American Heart Association, dehydration can easily cause your blood pressure to drop below the normal ranges. If you experience fatigue, dizziness, loss of concentration, etc. make sure that you drink a glass of water and check your blood pressure. Since it has been scientifically proven that drinking enough water can reduce your food cravings, it is normal to expect to feel hungrier when you have not satisfied your body’s needs for water. Also, a scientific study has shown that people who have the tendency to not drink enough water on a daily level struggle with a high BMI. Of course, this link needs to be further explored, but the study does show some promising findings. Have you had a good night sleep and still struggle to keep your eyes open throughout the day? Do you feel tired and cannot figure out why? Perhaps it is because you haven’t drank enough water. As we mentioned earlier, dehydration reduces your blood pressure, which commonly causes tiredness and even fatigue to occur. Dehydration can go as far as causing you to experience nausea and dizziness. Nausea can even lead to vomiting. And of course, vomiting will cause you to lose more water and liquids from your body. These symptoms can occur as a side-effect of your already low blood pressure due to dehydration. When you are struggling with dehydration, your brain tissue loses water. This causes your brain to shrink and headaches to develop. When you are experiencing headaches, remind yourself to drink a few glasses of water. If this does not help, proceed with your usual treatment methods. Despite the fact that only severe dehydration has been noted to cause your heart to pound and your breathing to speed up, there is no denying that these symptoms can happen. Because water helps your blood flow, not drinking enough water will cause your blood volume to lower which will result in a pounding heart. Research has found out that dehydration can lead to declined alertness, concentration, memory, and increased confusion. We highly recommend drinking a lot of water before an important meeting, exam, or an event in your life. It might come as a surprise, but your bad mood can be caused by you forgetting to drink your eight glasses of water today. It has been suggested that dehydration can lead to feeling anxious, depressed, irritated, and nervous. 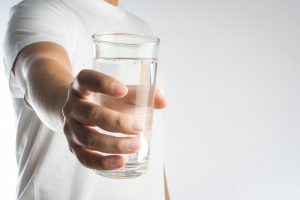 If you wonder why you might be feeling a bit low, perhaps you will discover that the answer to that question is hiding in a tall glass of fresh water. It is highly important to drink enough water before and after your workout. When we workout, we sweat, which means that we are losing water. 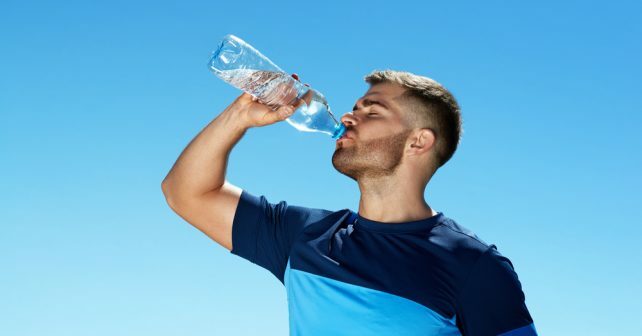 If we lose too much water that we do not replace in time, we are risking our chances to experience painful muscle cramps that can happen even during your workout causing its quality to decline. By drinking eight glasses of water each day you are reducing the risk of bad breath, pounding heart, low blood pressure, dizziness, nausea, confusion, fatigue and much more. Drinking that glass of fresh, delicious water has proven to do a lot more than cooling your thirst in the summer. So go ahead, pour yourself a glass of water and start introducing this new habit of yours from today!